I've been digesting our correspondence and I'm thrilled to be going on this Second Date with you. Maybe you want to fumble about with me, teach me something new? Let's have a play date and color outside of the lines. I propose after our First, Play we keep on writing in the sandbox. Stick around for awhile, won't you? Field Projects is proud to present SECOND DATE a solo exhibition by Loren Britton. FIRST, PLAY a solo exhibition of a sandbox at Disclaimer Gallery (603 Bushwick Avenue, Brooklyn, NY 11206) Opening November 8th, 6-8, and running through November 30th. Getting dirty is encouraged. 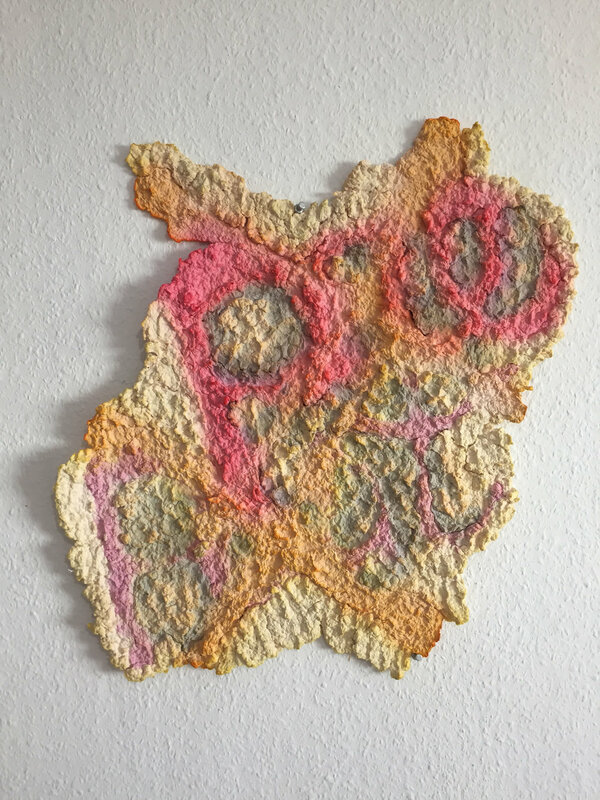 SECOND DATE a solo exhibition of Britton’s paper pulp wall reliefs at Field Projects, Opening November 9th, 6-8 and running through December 16th. Staying clean is encouraged. 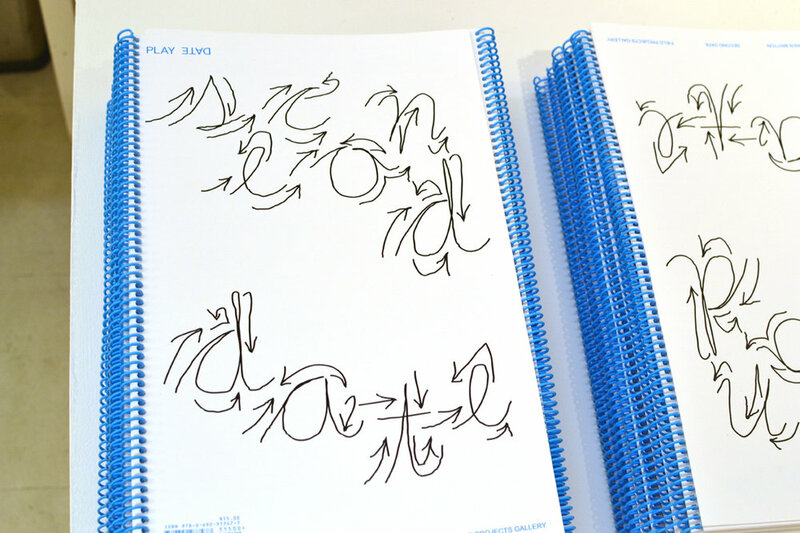 PLAY DATE, a collaboration with artist and designer Laura Coombs, is a hybrid coloring/cursive book available for viewers to work through in the traveled space between Field Projects, Chelsea and Disclaimer Gallery, Bushwick – available for engaging in both spaces to charge the space between. Reading and writing is encouraged. A leader in the New Queer Abstraction, Loren Britton takes sentimental moments and infuses them with radical politics. Their work beckons the viewer to return to a time before naming and definition seized the desire to understand. 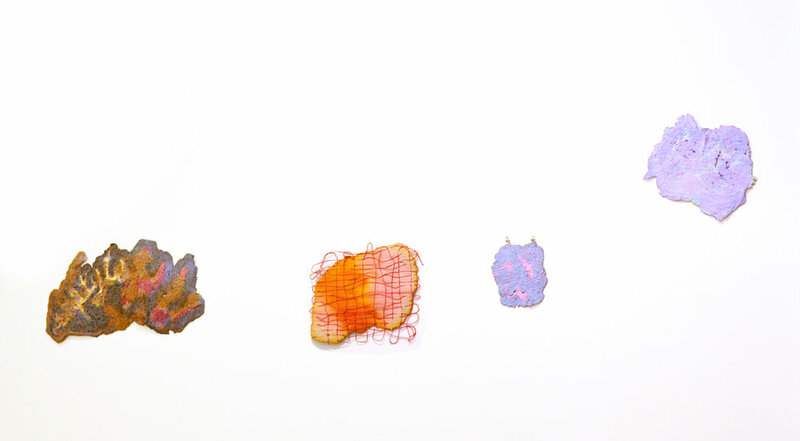 FIRST, PLAY invites the viewer to rediscover the body through touch, color, shape and play. SECOND DATE is the next evolutionary step in constructed development: Language. 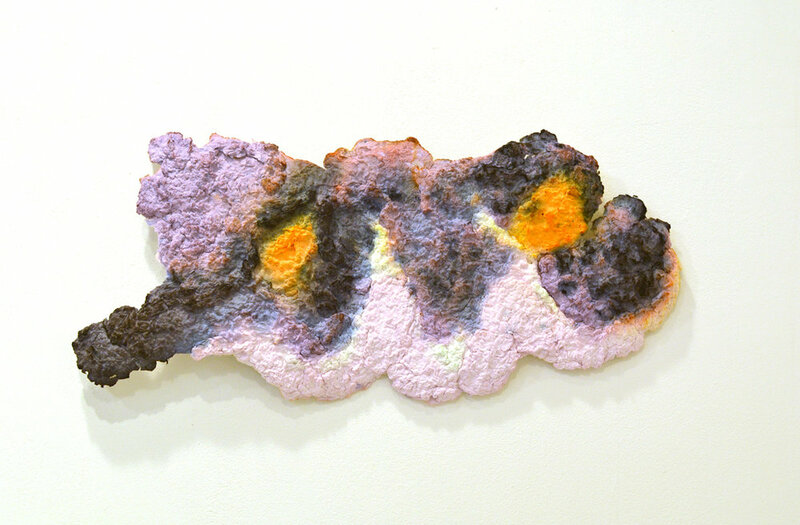 Abstract letters, words, and phrases – detached from the lines of the page – are regurgitated in paper pulp and mounted on the wall. Britton blurs the discourses around pedagogy, gesturing towards a developmental time when one is learning how and what to name. York at Purchase College, USA and an MFA in Painting & Printmaking from the Yale School of Art at Yale University, USA.